We're just hanging out on a curb drinking coffee, trying to decide what to say about ourselves to make you love us most. 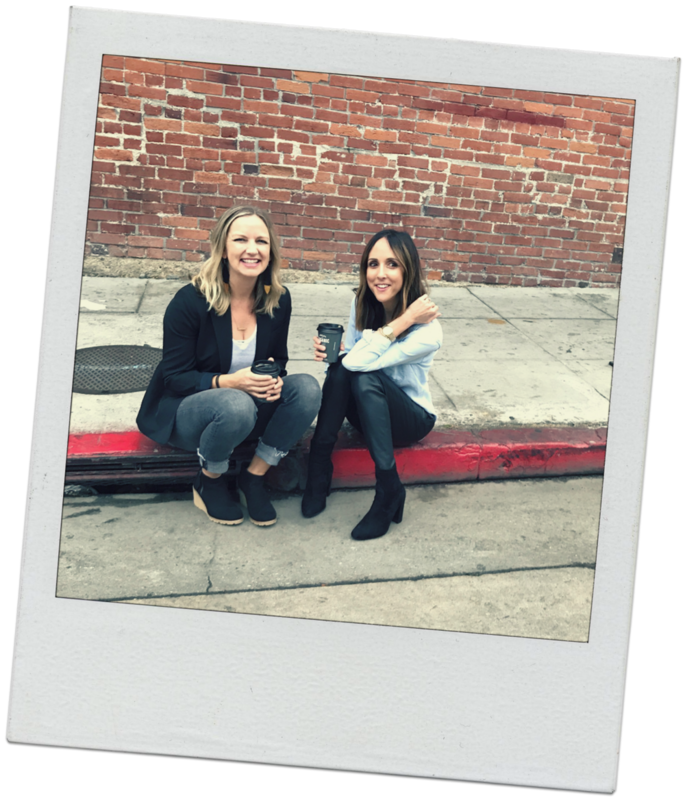 For now we'll just go with the basics: we're Lauren & Kayli, we love fashion and style, we care deeply about the world and the people in it, and we've been increasingly bothered by the way that those two elements of our identities seem at odds. Can't we be passionate about social justice and also love shoes? Our vision for Communelle is to create a place where people can discover products they'll feel good about buying, from companies and creators who are making a positive impact on people's lives and the planet. We want to shop consciously, to spend our money in a way that reflects our deepest values. We want to tell a better story with our stuff. So click around and hang out for awhile. Say hi. Submit your Edit. Tell your friends about the cool companies you read about here. Ask questions of the brands you already buy. Be curious. Get creative. Be a part of this, of us, a community of consumers who want to leave the world better than we found it. And wouldn't mind looking good while we're at it. Welcome to Communelle. We're glad you're here.